As holder of 3 AA Rosettes , 1851 restaurant at Peckforton Castle is among the elite top ten percent of restaurants in the UK and treats diners and guests of the Castle to a gastronomic extravaganza featuring carefully selected, locally grown and reared produce, hand picked for outstanding freshness and quality on a daily basis by our Head Chef, Mark Ellis whom is passionate about using only the finest ingredients available to him. 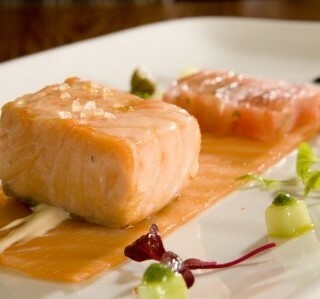 These have been sourced, where possible, here in Cheshire and his creativity is demonstrated by the content of his menu’s which feature dishes that are classic with a modern twist and often a sense of humour. Our wine list offers a delightful journey through the vineyards of the world and boasts a wide range of grapes including sparkling wines, such as the playful Italian prosecco to an elegant and indulgent Dom Perignon. The deep, plush carpets, tasteful decor and tables adorned with crisp linen and beautiful tableware - all against the magnificent backdrop of Peckforton Castle's impressive architecture - add a welcome touch of magic and glamour to every meal, making every dining experience a very special occasion. I booked a table for 6(4 adults and 2 children),back in june as it was my 40th wedding anniversary.I have an e-mail from the hotel confirming that our reservation for xmas style lunch(+ visit to santa for the two grand-children) was all confirmed.When i rang the day before the meal to confirm the arrangements/timing etc., i was informed that i had changed the booking in july and that i was now booked in for the following sunday!..I obviously contested this as there is no way my wedding anniversary had changed and that this was unacceptable to me and my family party.They rang back and the manager there delayed my luncheon appointment by two hours to accomodate us.I was not impressed.The hotel offered me a drink at the bar as some compensation,which was fine,but overall poor performance by peckforton.The quality of the food was good,albeit my hot starter was virtually cold when it arrived but i was so hungry,being as it was two hours later than planned,that i ate it as it came.The rest of the meal was good.Although one of my crowns came out during the meal-not saying it was peckforton's fault, but i had to seek an emergency dental appointment the next morning.The ambience of the hotel is exceptional and the location wonderful.Pity i won't have a good memory of the day. Generally had a great evening, with excellent food. We felt however that the desserts let the rest of the meal down. Soggy pastry, tasteless coulis etc. When asked by our waitress how they were we mentioned this, for information only, not as a complaint. Without hesitation the cost was taken off the bill - which we had not expected but did appreciate. I was quite disappointed with the service and the seating arrangements. The food was good but the service was very rushed and we were sat in the back part of the restaurant which was not as ambient as the front section. It's a shame as the hotel is beautiful. Definitely  be booking again, I have my husbands and my 40th next year . Thank you again fantastic experience. Staff were friendly and motivated to ensure that the stay was as relaxing and hassle free as possible. The suite was amazing and very clean. 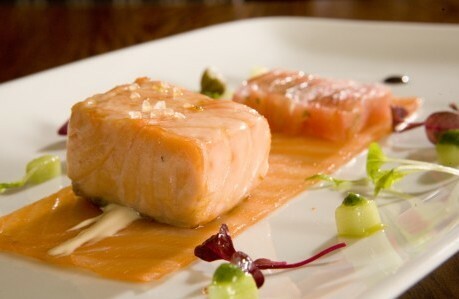 I had a couple of treatments which I would recommend to anyone staying over and the dining experience was fantastic. I cannot fault anything. I will be returning for another stay soon. We love Pekforton Castle and got married there 4 years ago. We thought it would be a nice treat to take my parents and our daughter. The staff were great but the main meal was awful and none of us could eat it. The beef couldn't even be cut and th veg and potato selection with the roast was poor. We saw lots of other customers sending their beef back too. Was really disappointing so could recommend. Starter and dessert were lovely. Having been to the castle a few times , the only complaint is the lack of areas to drink after your meal or when visiting. It seems to be that wedding parties have two bars available to them but guests whether staying in accomadation or just dining are put either in some quiet secluded bar which as no atmosphere near the brasserie or they are sat behind reception in a room that also lacks atmosphere. Now I fully understand the wedding parties having access to things pre booked but each time I've visited the cellar bar , it as been open , but only to wedding guests . The peculiar thing being on every occasion there as not been a sole in there . So to be refused service & put in a place that makes you feel that your not wanted is strange. Surely make us stay & spend our money . An absolutely delightful evening. So happy to come back and find that the excellent food and service has been maintained. Reliably impressive menu and incredible wines. Great food and service while dining and throughout our stay. It was unfortunate the beer/drink selection was disappointing. First class and friendly service, nothing to much trouble, was recommended by friends and can now see why. Can't wait to revisit. Please pass on our thanks to your excellent staff, and give the chef a rise !! £25 menu was great value for money and the staff were very friendly and helpful, fantastic choice of wine too ! On our visit, the staff were attentive and helpful, but not intrusive. The fare was perfectly cooked, presented and excellent value. We will definately be visiting again. This was a special occasion meal for us and the end result was right on the mark. The food was excellent and the service very good indeed. Food was very nice. Couldn't get served at the bar before diner and gave up after 30 mins wait. After diner -same experience. Found it very hard to get a drink. The Cellar bar was also closed due to a wedding. Had we known we would have stayed elsewhere or booked another weekend. Very disappointed. The staff in the restaurant were very accommodating when we moved our booking last minute as we were late arriving at the hotel. Extremely pleasant and friendly and we were made to feel very welcome. Lovely experience. Very well catered for at recent celebration meal. Food was not run of the mill, and all our eating fads and needs were accommodated very well. Guests were spared having to remember what they ordered, which was much appreciated. Service was quiet and thank you for not asking us every 10 minutes if everything was OK.  All the guests had a wonderful time and enjoyed the a la carte selection very much. Such a stunning place.. Couldn't of asked for better.. Service and staff was impeccable.. The restaurant is beautiful with a perfect atmosphere.. Fantastic stay for 2 nights - wonderful food and staff, service was a bit slow but we couldn't complain as we were with friends so delay was fine. Unfortunately, the 5-course menu was rather poor. The staff were excellent but the food was too much of a let-down. The rosettes were obviously not awarded on food such as those dishes we tried. The piglet cutlet was dry and chewy, the duck breast was bland and undercooked, and the chocolate dessert was too heavy as well as being accompanied by overpowering olive oil ice-cream. No flavours were subtle and the fennel overwhelmed otherwise great salmon. Much to our dismay, having looking forward to our visit so much; we certainly wouldn't go again. It was not what we had expected nor what were hoping for. Having since read other reviews, it is a shame our experience does not appear to be an isolated incident.